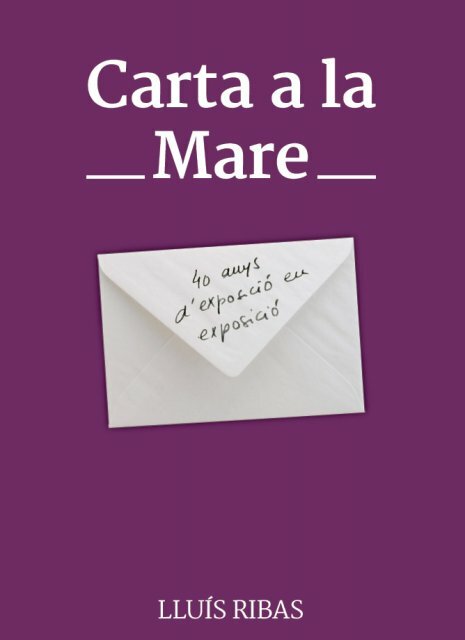 Book "Carta a la Mare"
I presented my book “Carta a la mare”, which I wrote and published especially on occasion of the 40th anniversary of my first individual exhibition and for which the writer Marta Pessarrodona wrote the preface. In this book, I tell my mother, who died a year before my first exhibition, everything that has occurred in these 40 years from exhibition to exhibition, the anecdotes that have happened to me, my successes, my failures and my experiences in the professional sphere. Exhibition of “Magic Pomegranates” sculptures and paintings from the last 20 years in the Espai Lluís Ribas, Sant Cugat.